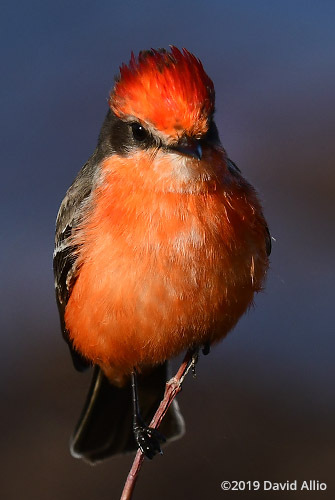 More commonly found in the southwestern deserts of the United States, this non-breeding male Vermilion Flycatcher Pyrocephalus rubinus has taken up residence near the East River Pool of the Saint Marks National Wildlife Refuge on the Gulf Coast of Florida. 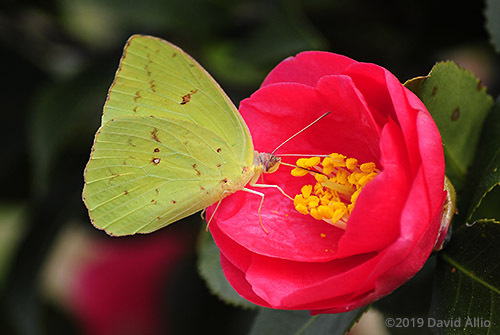 My first submission to the Butterflies and Moths of North America (BAMONA) project, this photograph of a Cloudless Sulphur Phoebis sennae feeding on a Camellia japonica, has been verified and accepted. The sighting details page is available at butterfliesandmoths.org. According to their web site, the Butterflies and Moths of North America (BAMONA) project is an ambitious effort to collect and provide access to quality-controlled data about butterflies and moths for the continent of North America from Panama to Canada. The BAMONA project is based upon work previously supported by the U.S. Geological Survey (USGS) Northern Prairie Wildlife Research Center (1995-2003) and the USGS National Biological Information Infrastructure (NBII) Program (2004-2011). 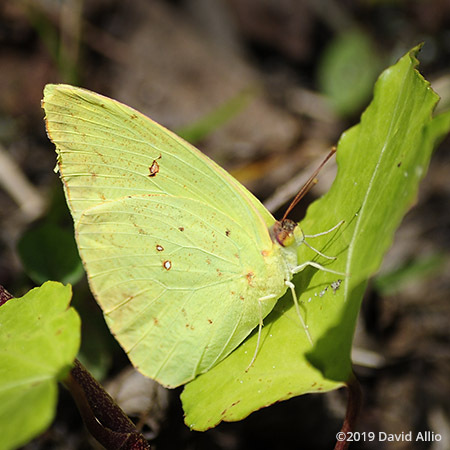 How does a bright yellow Cloudless Sulphur Phoebis sennae hide in plain sight? This butterfly sits on a similarly colored leaf in attempt to camouflage its location.